Best Low-Calorie Protein Powders of 2019 Ranked! Recently, low-calorie protein powders have popped up across nutrition aisles, and they have gained quite a bit of traction among the bodybuilding and fitness community. Although we all consume protein, there are various factors that should be considered if you’ve been wondering whether the low-calorie protein powders are indeed worth the hype. In this article, we will explore facets of low-calorie protein powder, including but not limited to the pros, cons, and how much to consume. It doesn’t matter if you’re competing for a medal or just looking to maintain a healthy lifestyle. The importance of proper nutrition cannot be overstated, and finding a good, quality protein is a key part of the muscle equation. Along with carbohydrates and healthy fats, protein is a macronutrient, which means we require it in rather large amounts for normal body function. Most of us reach out for a tall mug of freshly-brewed coffee to get our brains buzzing, but we may not realize how important a role protein plays in keeping our cognitive and physical functions sharp. Here’s how: epinephrine, norepinephrine, and dopamine are the key neurotransmitters or chemical messengers that drive cognitive and neuromuscular functions within our bodies. The amino acids that make up protein make sure these compounds are present in abundant supply, thus improving our attention and overall cognitive ability. Protein accounts for almost 50% of the volume of our bones and about one third of its mass. The bone-protein matrix is constantly remodeled. This remodeling process facilitates the cross-linking of collagen molecules. This causes modification of the amino acids. Most of these collagen molecules that are released during this process cannot be used to build new bone matrix. Therefore, we need a healthy supply of quality protein to maintain proper bone strength and mass. A 2011 study explains that dietary protein plays a key role for bone health and therefore helps to prevent osteoporosis. Being a vegan has its fair share of challenges and getting an adequate amount of quality protein is one of them. But that doesn’t mean it’s impossible. 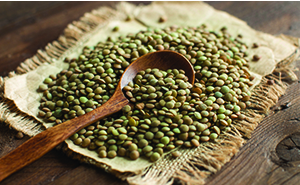 Here are a few sources of plant-based protein sources that’ll keep your muscles fueled up. Lentils are probably one of the best sources of vegan protein. You get about 18-20 grams of protein for every cooked cup, plus they’re easy on your wallet. There are plenty of ways they can be used, ranging from fresh salads to hearty soups. Also, lentils are good for both colon and heart health. Plus, they have been known to help reduce the risk of heart disease, diabetes, excess weight gain, and some types of cancer. Most types of beans are rich in protein. Chickpeas, also known as garbanzo beans, are another great source of quality plant-based protein. Both beans and chickpeas contain about 15 grams of protein per cup. They are also a source of fiber, iron, phosphorus, potassium, and manganese. Also, it has been scientifically shown that beans can aid in decreasing cholesterol, controlling blood sugar levels, lowering blood pressure, and even getting rid of excess fat. Green peas aren’t usually the star of the show when it comes to our food, often served as appetizers or a side dish. What many people don’t know is that green peas are a pretty decent source of protein, offering about 9 grams per cooked cup. 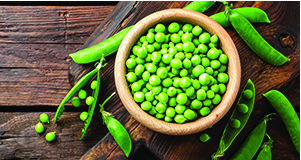 Plus, a single serving of green peas covers more than 25% of your daily fiber, vitamin A, C, K, thiamine, folate, and manganese requirements. It doesn’t matter if you are an elite athlete in pursuit of Olympic glory or a busy executive looking to get back in top shape. Quality protein intake will be a key driver of your fitness efforts. Here are a few key benefits of adding low-calorie protein powders/shakes to your daily nutrition plan. Most of us turn to protein powders to meet our protein needs, but there’s usually a tradeoff. Many protein powders usually come with added carbohydrates and artificial sweeteners and flavors. This means extra calories. For some of us, this may not be an issue. But for those of us who are looking to lower our body weight without putting a major dent in our hard-earned muscle gains, that is indeed a bitter bargain. When you choose a low-calorie protein powder, that gives you the best of both worlds. You can meet your protein demands without unwanted calories or muscle loss. Whether you’re putting on mass or shredding for summer, you’d have to consume copious amount of protein, roughly 1 gram per pound of your body weight. You could indeed choose to leave protein powder out of your nutrition plan but that would mean you’d have to eat and cook an awful lot of chicken and turkey breast. For instance, if your daily protein requirement is 200 grams, then you would have to consume about 800 grams of solid chicken to meet that number. Cooking aside, it’s just hard for most people to consume that much meat. Adding a protein shake is an easy workaround that should help you hit your daily macros. Whether you’re a busy mother or business owner or hold a typical 9-5, we could all use a few extra hours in a day! With our busy schedules, it becomes impractical to cook 4-5 times a day, which would make it quite difficult to hit your protein needs. Having a protein powder by your side gives you a quick protein boost without the hassle of constant cooking or at the expense of your time. Our body requires quite a bit of time and effort to break down solid food, which means more time for protein synthesis and slow-ish nutrient delivery to muscles. Protein powder, on the other hand, takes about half an hour to reach our muscles after consumption. This makes it an ideal post-workout meal when our fatigued muscles need a quick protein boost. If your key goal is to lean out then make sure that you stay away from protein powders that come with the added carbohydrate or fat content and/or artificial flavorings. There is a varied opinion among fitness enthusiasts and experts on which is the best type of protein. One factor that should be considered is how quickly the protein is absorbed, as the optimal type of protein may depend on when you take it. 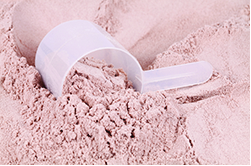 Casein protein takes longer to digest than isolate or concentrate proteins. If you happen to be a competitive athlete, weightlifter, or bodybuilder, then this will serve you better if you take it before bed, as this will deliver a steady supply of amino acids throughout the night. 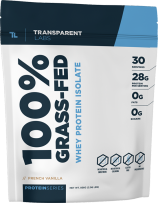 Isolate whey protein, on the other hand, has a much quicker absorption rate and makes a far better post-workout shake for a quick protein boost. Concentrate protein powder is a better option to take throughout the day or between meals, as it is digested at a relatively steady pace. For example, consider a protein powder with a serving size of 80 grams and that offers 40 grams of protein per serving. That’s a protein yield of 50%, which means that half of each serving will be non-protein. That’s not exactly a good deal. Make sure that whichever low-calorie protein powder you choose, it has a protein yield of no less than 70%. How much. Depending on your goals, you should be consuming anywhere between 0.8 to 1.2 grams of protein per pound of your bodyweight. For instance, if a 180-pound guy wants to shred for the summer, he should be consuming about 180 grams of protein every day. Timing. Make sure you divide your total caloric intake for the day into 5-6 smallish meals evenly spaced. Consume about 30-40 grams of protein each meal. That will help with proper digestion and ensure no protein is wasted. How much is too much? Unless you’re a professional bodybuilder or weightlifter with massive daily caloric needs, you should keep your protein intake between 0.8 to 1.2 grams per pound of your bodyweight. Going overboard can put undue stress on your kidney function and has been known to cause calcium depletion, which means weaker bones and joints. 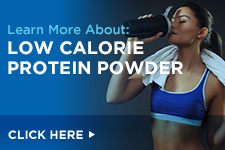 So the question most of ask is whether these low-calorie protein powders are worth the cost? In a word: absolutely. If you do your research and buy a quality low-calorie protein powder with a decent yield, the benefits will far outweigh the perceived cost, as long as you take the supplement correctly. Our top 10 list of low-calorie protein powders is organized to reflect what you most value in your supplements. First and foremost is quality. 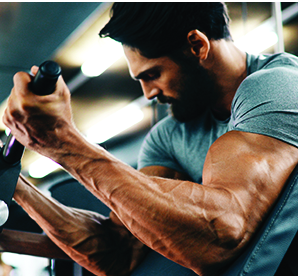 All of our top ten supplements meet high standards of quality and come from brands with a proven record in excellence and purity. Another important factor in deciding the top ten was cost. 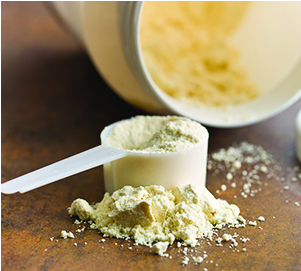 You don’t have to pay through the nose to get a high-quality low-calorie protein powder. In addition, all the companies represented on our list have stellar records with customer service and prompt shipping. This ensures that your supplement experience is enjoyable from the first click to your final dose. Gym Vixen Whey is a premium supplement for women who earned a number four spot. IdealShake is number six on this list thanks to its high quality ingredients.